SUV is a term that might make many people quiver in fear from the thought of throwing handfuls of money into the gas tank, only to have the fuel gauge sitting on empty again at the end of the day. It doesn’t have to be like that anymore. 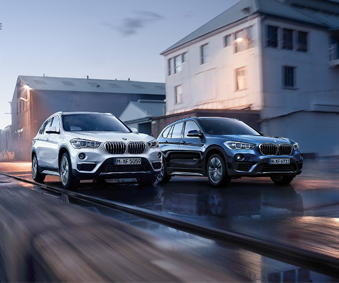 BMW incorporates the most up to date and innovative technology in it’s vehicles, leading the BMW X series to regularly make an appearance on many lists of the most fuel efficient SUVs, including lists from Kelly Blue Book and Car and Driver. 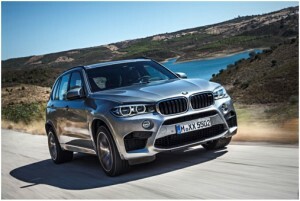 Why Choose a BMW SUV? We’ve already mentioned the excellent fuel economy, but what about style? Budds’ BMW Hamilton offers a wide variety of SUVs, from the compact and rugged looking X1 to the sleek and sporty coupe-styled X4 and X6. The BMW X series is also a pleasure to drive. During their design, they were based off of BMW’s already existing car line and thus kept the smooth driving and responsive handling people have come to expect from BMW vehicles. Whether you’re driving in rush hour traffic or cruising beaten up country roads, Budds’ BMW has you covered when it comes to Hamilton SUVs. When it comes to a perfect mix of style and performance you don’t need to look any further than the BMW X6. 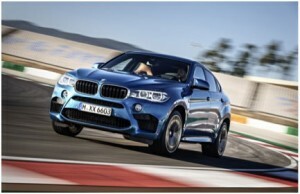 The X6 was designed to be a sportier version of the X5, BMW’s very first produced sport utility vehicle. You have several engine options to choose from including V6, V6 and hybrid. There is also a V6 diesel option. The X6 really shines when you finally get to press that gas pedal for the first time and feel the lightning quick acceleration, leaving you on the edge of your seat and a smile from ear to ear. Perhaps the X6 isn’t quite what you’re looking for. Maybe you have a large family and need some extra seating. The BMW X5 offers and optional third row seat so no one gets left behind. Need plenty of cargo space? Our BMW X3 might be just what you need. When it comes to SUVs, nothing beats a BMW. When it comes to BMW, no one beats Budds’. So come on down, look around, and see why people are saying Budds’ BMW is the place to go for Hamilton SUVs.